There are so many different types of milk products to play with these days, which is great cause it is always exciting to mix and match different flavors to see what you can create. Today I have used oat milk, which is a nice alternative as it is low in fat, high in calcium and actively lowers cholesterol levels. 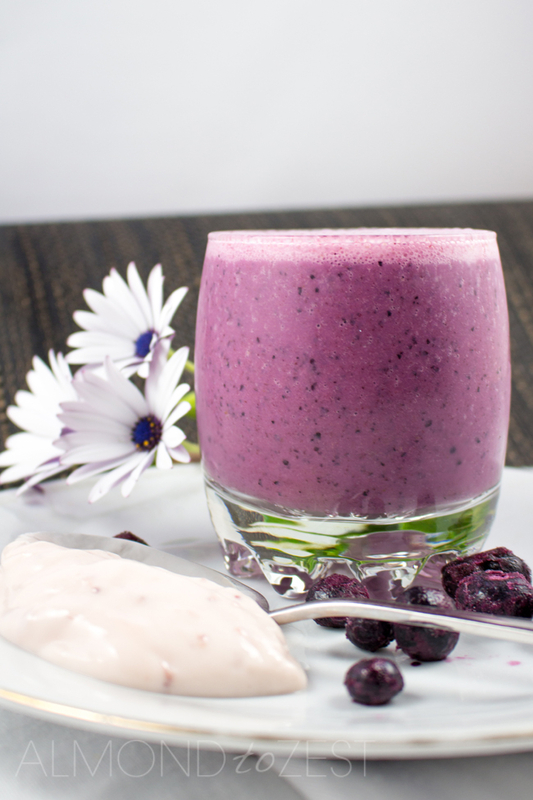 It also gives the smoothie a subtle oaty flavor and a thinner consistency that is lighter and easier to chug down. 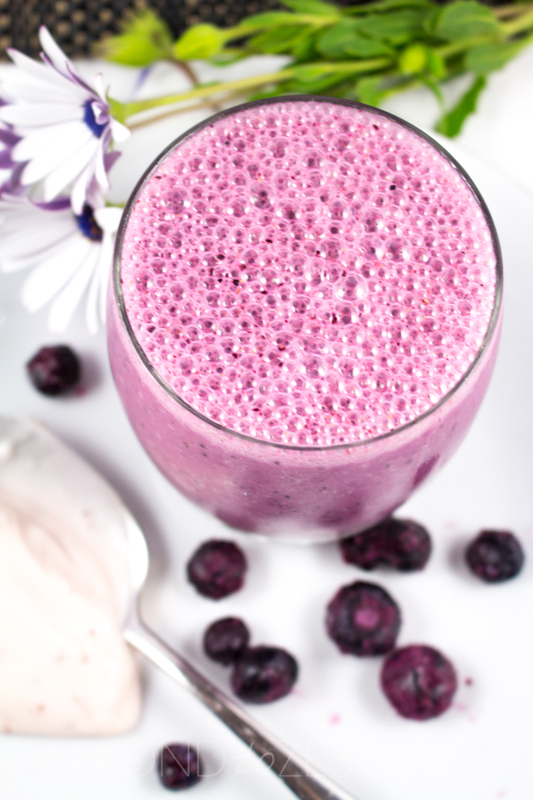 Packed with indigo coloured blueberries and strawberry yogurt, this smoothie is filled with healthy body ingredients. Place all ingredients in blender and mix till smooth. Pour into two glasses.